today I´d like to share my new picture. I think summer is suitable time for redecorating. I used Distress Inks for painting. First I made the paper frame. I used the wallpaper from this stamp wallpaper for the background. I used a wooden stick for the curtain I draped the lace on it. Thank you for taking time out to visit me. 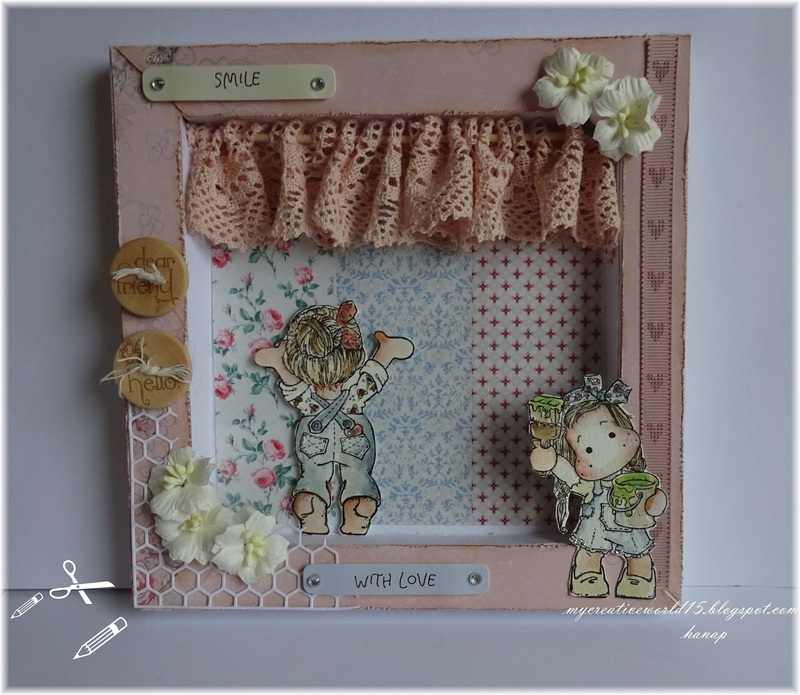 A really lovely design to your framed scene, thank you so much for sharing it with us at Stamping Sensations June challenge. This is so delightful, love your shadow box and those two sweet Tildas decorating the walls. 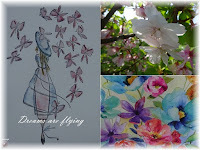 Thank you for sharing your cute creation with us over at All About Magnolia. Good luck! A lot of detail and effort in this cute picture! Thanks for sharing with us at Stamping Sensations!